How to extract, use, and heal with cannabis medicine. I first learned about the medicinal benefits of marijuana through a Dutch friend who was born and raised in the Netherlands where marijuana has been legal for many years now. It was 1994 when I first got interested in learning more about the healing effects of marijuana, but not much data was available back then, as the Internet was just in its infancy at that time. As a self-proclaimed naturopathic healer, my interest just grew over time. Around the end of 1996, when California legalized marijuana for medical use, I was finally able to get more research data on the topic. For some reason, I always had this belief that marijuana holds a big secret under its leaves most of which we just haven't discovered yet. At first, marijuana was only used as a painkiller in the medical field as a last resort for terminal patients that were suffering from AIDS, cancer, and other such deadly illnesses. But after 2005, that started to change in a big way, researchers and doctors started seeing the true medicinal value of marijuana and the healing effects of its various ingredients like THC, CBD, and hemp oil. It was like opening a floodgate, so much started to pour in and so fast that it was truly overwhelming for most researchers. I too was consumed and overwhelmed with all the information. But I am sure some of you may not know all these details but most of you should remember when Dr. Sanjay Gupta of CNN did a medical breakthrough program of a five-year-old girl in New Jersey who was suffering from an acute case of epilepsy where she was having six to 10 seizures a day and no modern medicine could stop that. Long story short, when the parents found out about the new marijuana-derived medical research, they took their daughter and started the new treatment immediately. Only after a few dosages, she began to recover. 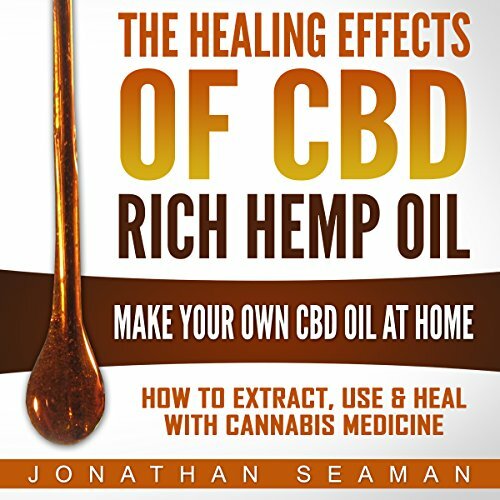 I was wondering about this product for some time now-CBD I appreciate your hard work and for putting it in a very easy to understand format! I learned a lot from listening to your work...now I have to find the right distributor for this product. There are too many offrs on the market...it is easy to get confused by their advertising. Thank you for your advice on how to select the product that is safe and effective.